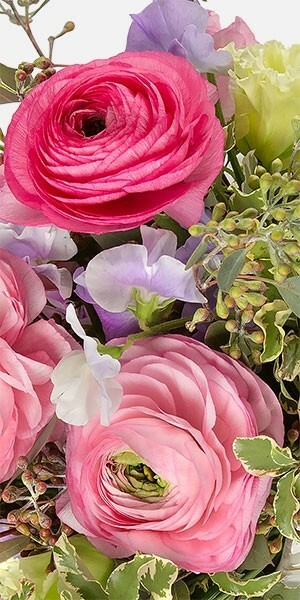 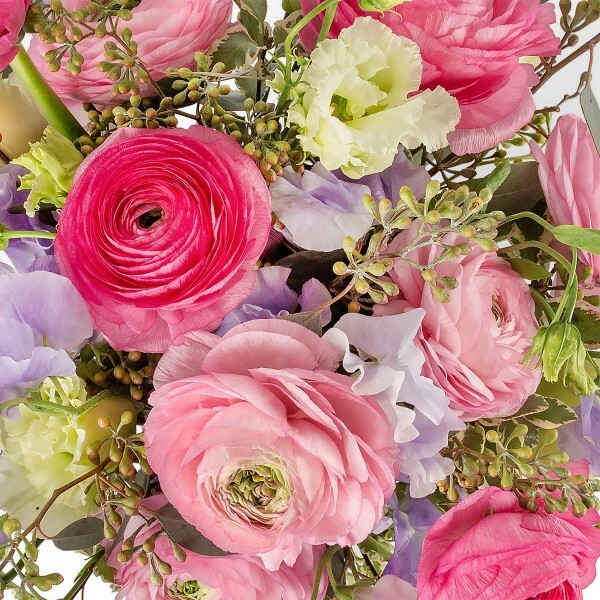 Inspired by picturesque outdoor luncheons, the Veranda floral arrangement features ranunculus in two shades of pink alongside gorgeous lavender sweet peas. 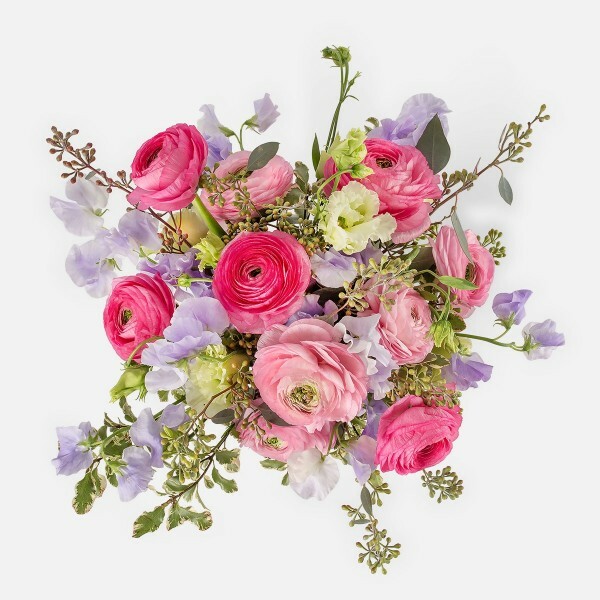 Bright green lisianthus adds a delicate touch with its precious unopened buds, while eucalyptus and other greens provide fullness and symmetry. 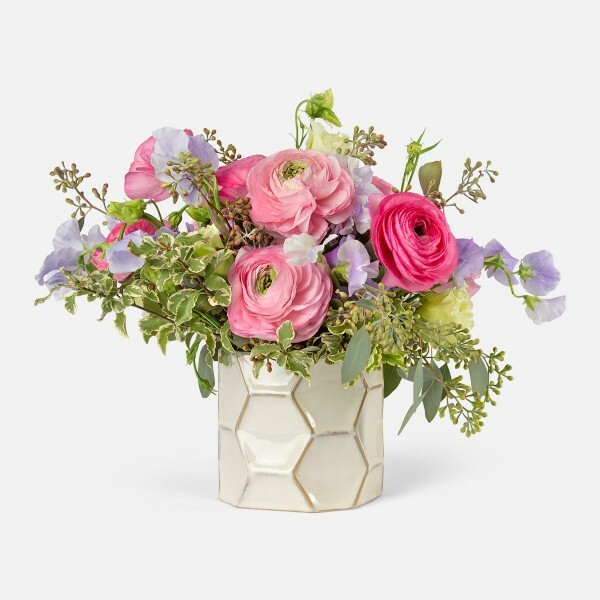 Veranda is presented in a white honeycomb ceramic vase.